Carolyn M. Warner (Ph.D. Harvard University; A.M. Harvard University; B.A. University of California San Diego). Professor of Political Science. Warner’s research areas are religion and politics, and the political economy of corruption in the European Union. 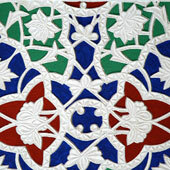 Current research includes an NSF-funded interdisciplinary project on religion and conflict, which was facilitated by a seed grant from the ASU Center for the Study of Religion and Conflict; and a project funded by the Science of Generosity program at Notre Dame (http://generosityresearch.nd.edu on the role of institutions and beliefs in the generosity of Catholics and Muslims. Her paper with Ramazan Kilinc and Christopher Hale, "Religion and Public Goods Provision: Experimental and Interview Evidence from Catholicism and Islam," won the 2013 Sage Award of the American Political Science Association. She was recently co-director at ASU of the two year Luce Foundation sponsored project on "Religion and International Affairs through the prisms of Gender and Human Rights." She has been a Jean Monnet Fellow at the European University Institute, a National Fellow at the Hoover Institution of Stanford University, a Fellow at the Center on Democracy, Development and the Rule of Law, Stanford University and a Visiting Professor at Harvard University. Her research on Muslim organizations in Europe (co-authored with Manfred Wenner) has been published in Perspectives on Politics, and her book, The Best System Money Can Buy: Corruption in the European Union , was published with Cornell (2007). She is author of Confessions of an Interest Group: the Catholic Church and Political Parties in Europe, (Princeton), and has published articles in various journals.